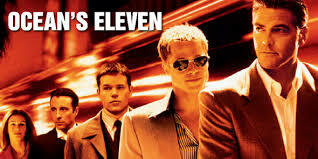 Share the post "Clair de Lune and Ocean’s Eleven"
How wonderful! 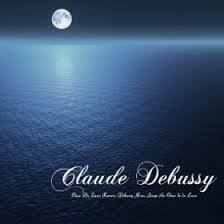 I was just listening to Debussy’s Suite Bergamasque last night! And oh my nice! So sweet and sublime is exactly what I was thinking about it as well. I just wanted to roll around within it and allow it to envelope me with its lusciousness! 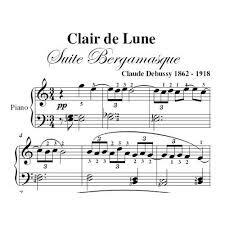 One of my favorite musical pieces as well as the movie is a great favorite! Your blogging about it just goes to show great minds think alike! Thank you for the posting!!! Donna, how freaky! Love that kind of serendipity. And as for Ocean’s Eleven, and hearing the movie is a great favorite of yours, too, all I can think of is how PERFECT that is. Remember those movies we’d watch together at your place, over and over, year after year, eating our ritual baked brie with toasted almonds, on warm French bread? OMG. This is totally one of those movies. Great big grin over here! I remember those nights so vividly! I always looked forward to them so much and miss them greatly! Once in a while I try to recreate them when I’m sans children only this time while drinking a new Belgian beer. Just the other night I was thinking about the next time we get together I’ll have some wonderful ones to share. Gems! Really good post. I don’t know if you’ve said this already, but I think that the point of the fountains at the end of Oceans Eleven has to do with the poem, when it says something like ‘the fountains were sobbing with beautiful ecstasy’. The burglars had gotten that huge amount of money, but they realized it was all pointless. That’s what I thought at least when I saw the movie, after already listening to the piece and reading the poem. Thanks so much for taking the time to post your thoughts!